Can You Really Make Money With SimplyFun? If you’re going to get involved in direct sales, trying to make money with SimplyFun is a relatively good choice. The company does have some appealing products and has a surprisingly decent compensation plan that even offers bonuses for sales without recruitment. Nevertheless, I still recommend online affiliate marketing over an option like SimplyFun, because you can promote a wider range of products to a massive audience online. What Products Does SimplyFun Sell? SimplyFun is based on the concept that play is critical for learning and development. Based on that premise, the company offers a range of different toys, which are designed to teach various life skills and problem-solving. Additionally, most of the games are designed to be playable in around 30 minutes, which makes them realistic for busy families. After all, many people aren’t going to have a few hours to put into a game. The company also has a wide selection, with more than 150 individual products currently. These are clearly marked with player numbers, time and ages, making it easy for people to choose what interests them. 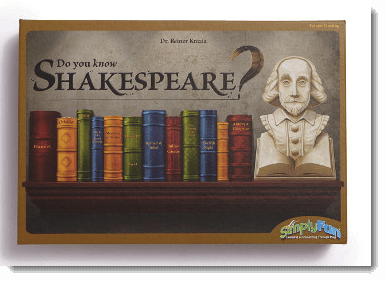 Now, there is no shortage of games currently on the market and some of the products from SimplyFun aren’t that unusual. But, other ones are more interesting and the selection is large enough that many people would find something that works for their needs. Most companies also create games for entertainment first and may not focus on education at all. So, for parents who want to focus on learning, the products here make sense. As a general rule, the games also seem to be reasonably priced. So, there are many that are in the $20 to $30 range, along with some that are less expensive again. The more complex games do have a higher price tag, like the example below at $38. But, even then, the prices aren’t that unreasonable. The company also has a much greater focus on the products than on the opportunity. To me, that’s a huge advantage and suggests that the company does actually care about the products that it promotes. All-in-all, it seems like the products would work well for the right audience. In particular, you would want to be promoting them to families with kids and cases where the parents do strongly focus on education. For that audience, the products are likely to be popular, especially as they seem to be decent quality. Is SimplyFun A Good Business Opportunity? The opportunity that SimplyFun offers has two components: sales and team building. This pattern is common across countless different companies and it is an interesting one. In theory, you can make money this way but there are also various complexities to consider. To begin with, the simplest way to earn money is sales. 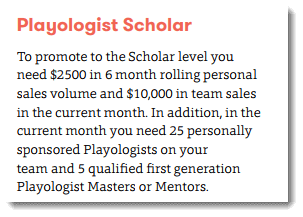 Members (called Playologists) earn 25% commission on any sales they make. If that sale is made in person by cash or check, then the member gets the income instantly. Otherwise, they get it monthly. Additionally, members can earn bonuses simply from their sales, as the image below shows. The percentages here are for the lowest rank within the company – and they become higher as people progress through the ranks. But, even at the beginning, you can earn bonuses from sales alone. This offers a way to increase your income without having to build a team at all. SimplyFun also relies primarily on customers ordering. So, distributors can buy products and resell them but they don’t have to. Instead, the main goal is to get customers to order products at events or online and then the distributor earns a percentage. If you’re going to join a direct sales company, this is the best style. It means that you don’t have to keep an inventory yourself and don’t need to guess what people are going to buy. Companies where you have to do that (like LuLaRoe) are harder to get ahead in and there is a greater risk that you’ll lose money. So far so good then. 25% commission may not be an amazing amount per sale but it’s decent enough, especially if you can make consistent sales. The bonuses from sales are also nice – and many companies don’t offer this. Nevertheless, sales are only one aspect of making money. The other component is team building. And, as with every MLM, there is more income potential here. The general concept is that you need to recruit others, who then need to do the same. Additionally, both you and your team members should be making regular sales. Most companies operate through a rank-based system – and this is true for SimplyFun as well. The ranks are like promotions. So, the higher up you go, the more income potential. But, SimplyFun is a little different, as their plan is simplified, with just 4 different ranks on offer. Individuals start at the first rank (Builder), which just involves purchasing a starter kit. Subsequent ranks come with their own requirements. This includes levels of personal sales that you need to meet, along with sales in your team. For example, the image below shows the requirements at the highest rank. The general pattern is what you see in other companies. So, higher ranks are harder to reach and more difficult to stay in. But, if you can, there are also more bonuses and more potential for income overall. Nevertheless, the emphasis on team building is not as large as in other companies. The presence of only 4 ranks is one indication of this. Additionally, you can only earn income from up to 3 generations. Many companies let you earn from 5 or even more. There seem to be fewer bonuses with team building as well. That being said, there is still considerable work involved in reaching the highest ranks in the company – and those ranks do offer the most income potential. This suggests that you should consider what you want to do with the company. For example, do you plan to focus primarily on just sales or would you want to try and reach the higher ranks? I’m personally impressed with the overall style. The team building component is the most difficult part of any MLM and companies often present it as an amazing opportunity. It’s nice to see that SimplyFun is more realistic. Their whole design also means that you could focus more on selling the products and less on team building and management. One other aspect to mention is costs. The main initial fee is $129, which gets members a starter kit that contains some of the products, along with business tools. There also seems to be no requirement to make purchases yourself. Even so, there is a sales requirement. You need to hit $500 in sales every 6 months to stay active in the company. The total here is high but it is spread across 6 months, rather than being a lower monthly requirement. That pattern actually works well. It gives you more flexibility and means that you can have a few low sales months without it being an issue. And realistically, if you can’t make $500 of sales within a 6 month period, direct sales probably isn’t the best field for you. Nevertheless, this pattern can create a pressure to purchase for some people. For example, if you fall just under that amount, you might choose to buy yourself to push the total over the required margin. Doing so may not be a major issue but it can be easy to end up spending more than you’re earning. Additionally, there are extra requirements if you go into the higher ranks of the company. One other area is the parties. Distributors for SimplyFun use a party-based model, which means that they’re showing off and introducing people to the products. This type of design is popular and can be a powerful way to promote sales. Nevertheless, the parties can sometimes pressure distributors into purchases. After all, being able to demonstrate a product is one of the best ways to promote sales – but you have to own that particular item first. It can also be beneficial to offer gifts or prizes, which comes out of your pocket as well. If you’re getting enough sales in a party, then such costs are simply business expenses. But if your sales are on the low end, then the costs could outweigh your profits. If nothing else, it’s important to pay attention to any outgoings and make sure the balance is right. In some ways, SimplyFun could work well as a method of earning money. For one thing, you are earning 25% commission on sales, even if you do no team building whatsoever. There are companies out there that offer higher but 25% isn’t horrible. In fact, you would typically earn less per sale from affiliate programs. With that in mind, if you could drive enough sales, it would be possible to turn a decent profit through SimplyFun – even if you never choose to build a team. But, as you can probably guess, getting those sales is the challenge. With this type of company, you’re primarily promoting to a warm market, which consists of people you know, including friends and family members. In practice, many of them simply won’t be interested in the games provided or might not be able to afford them. Additionally, much of the early interest you get may be because of the novelty of the company and products. If that’s the case, then you could find that sales become harder to make as time goes on. Most people probably don’t have the audience needed to make a decent income from sales alone. For that matter, many won’t have the connections to build a successful team either, especially as being a team member requires much more commitment than buying products. One way around this is to take advantage of the internet. You have access to a much wider audience online, including many people you simply wouldn’t meet personally. SimplyFun gives members a website that they can use to make sales as well, which is the first step. However, those websites are exactly the same for each member. To really get traffic to them, you have to rely on social media or build your own website and drive interest that way. Creating your own website also has other advantages. For one thing, you can use affiliate programs to promote different products as well as the games from SimplyFun. One example would be video games, although there are countless other directions that you could consider as well. If nothing else, affiliate marketing doesn’t have the same ongoing costs that you see with SimplyFun and most programs don’t have sales requirements either. However, just be aware that you cannot sell SimplyFun products directly on your own website or on sites like Amazon or eBay. Doing so is against the terms and conditions of the company and you would lose your account if you were caught. SimplyFun has some appealing products and a better-than-average compensation plan. While the model still isn’t ideal, this is one of the more appealing choices if you want to sell products in person.